Cozy Chateau Home with UP-GRADES GALORE, North South Facing, Front Mountain View! 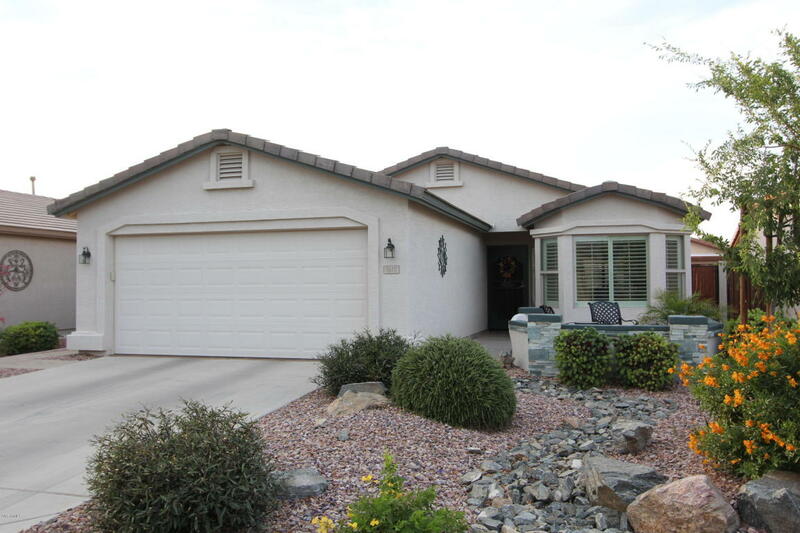 2 Bedrooms, 2 Baths, 2 Car Garage w/lots of Storage! Plantation shutters Through out, RO Drinking System, Soft Water. Kitchen has Beautiful Granite, Stainless Appliances,Up-graded Cabinets with pull out Shelves. Great Room, Open to Kitchen Wood Looking Tile Throughout! Light and Bright Breakfast Area with Bay Window. Washer, Dryer, Refrigerator Included. Exterior is beautifully Landscaped Front and Back Private Yard. This community has everything for you to enjoy at your leisure. Golf, 2 swimming pools, spa, tennis, exercise, computers, library and more!